Snapchat Spectacles were lame. Google Glass didn't live up to our expectations. Yet here we are again. First there was Google Glass, then, Snapchat Spectacles. Both were supposed to change the world by bringing the power of the internet as close to our faces as technology can get without actually being inside of it. Both ultimately failed — too expensive, too easy to steal, too ugly — disappearing softly into the graveyard of failed technology, alongside Segways and K-cups. Now, another company stands at the foot of the mountain upon which so many others have failed. Intel, maker of (sometimes problematic) computer chips recently announced its own set of smart glasses. There is, of course, a chance Intel could succeed where others found failure. 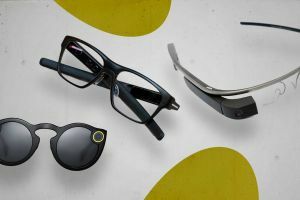 According to The Verge, the Vaunt doesn’t have a camera, speakers, microphones, buttons, or an LCD screen — the goal isn’t to have a smartphone on your face. All of the Vaunt’s electronics are confined to a small area right above the ear. They respond to commands given via head nods, which hopefully will have some sensitivity to not, say, text your ex when you’re nodding along to some tunes in your headphones. The glasses are flexible and feather-light, weighing in at just 50 grams (just shy of 2 ounces), the equivalent of five Oreos. The Vaunt may not weigh much, but that doesn’t mean it’s light on tech. The Vaunt is packed with a processor, accelerometer, Bluetooth, and a compass, according to Tech Crunch. 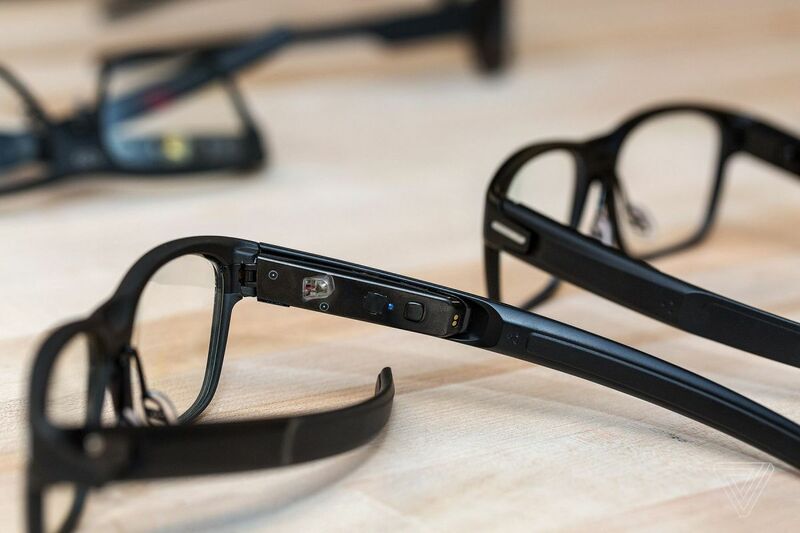 A closer look at the electronics on the stem of Intel’s Vaunt Glasses. Image Credit: Vjeran Pavic/The Verge. It also has a laser that projects a tiny image directly onto the corner of your retina. That image acts as a screen, presenting notifications from your phone, showing you walking directions, or reminding you to call your mother on her birthday. And if having a laser shot on your eyeball doesn’t hold appear, Mark Eastwood, industrial design director for Intel’s New Device Group, assured skeptics: “It is so low-power that it’s at the very bottom end of a class one laser.” That means, according to standards set by the U.S. Food and Drug Administration, it’s 100 percent safe to stare into this kind of laser for extended periods of time. Perhaps more importantly, the Vaunt doesn’t look like a pair of smart glasses. They’re more James Bond than Robocop. It’s pretty much doing the work of a smartwatch, but on your face, saving you the milliseconds it takes to raise a wrist to a face. Whether or not they’ll sell isn’t the question so much as whether or not Intel will even be able to bring these successfully to market — the company has not yet set a release date, nor a price. But Intel said it’s more likely to partner with other companies to do the actual marketing and selling, rather than trying to shill the glasses itself. Really, it might be one of the cannier moves from Intel’s corner, which is to say, better to let someone else take this whole lasers-in-your-eyeballs press situation off them.